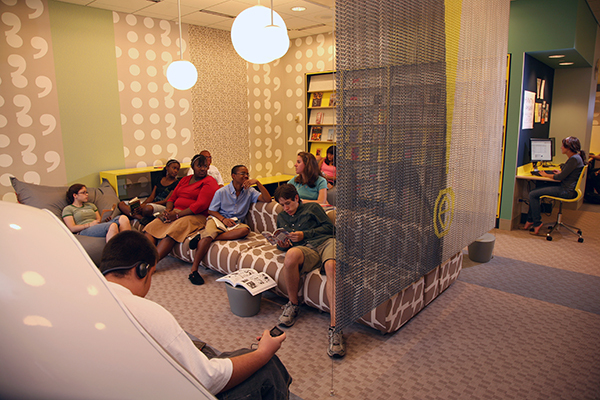 Teens on the design team demand physical separation from the main library without isolating their new distinct space. Carving a 2000 SF teen “Loft” out of unused storage space provides easy access to staff and adult reference materials. Illuminated digital letters within a translucent honeycomb panel spell out ownership. The palette represents the duality teens acknowledge about how they behave. The design nurtures a “silly” side with an egg chair, mod lights, and spaces to lounge and a “serious” side with computers, study rooms, and task lighting. The pastiche of wallpapers speaks of encryption, inspired by both text and technology. The Reading Bar, a café-inspired counter surrounds a wall of monitors and an informal stage. 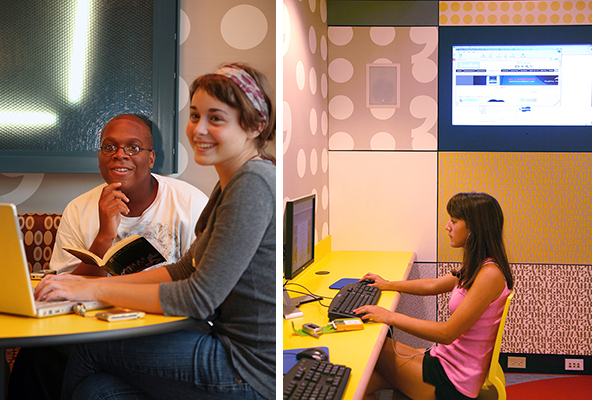 Teens or the library control technology feeding improv poetry slams or performance. In 2013, the Loft ran 274 programs and served over 1500 teens. A local high school senior comments, I walked into the Loft and thought this couldn’t possibly be the library. I’ve been coming here every day after school. I just can’t stay away. I love it so much. 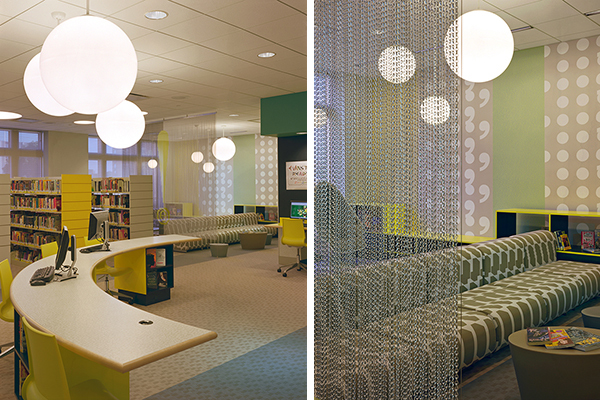 Or read more about our work at the Evanston Public Library on the design of the children’s library. Interior Architecture Award, American Institute of Architects Chicago, 2008. Acknowledgement of a spirited graphic design solution brought about through a participatory process. 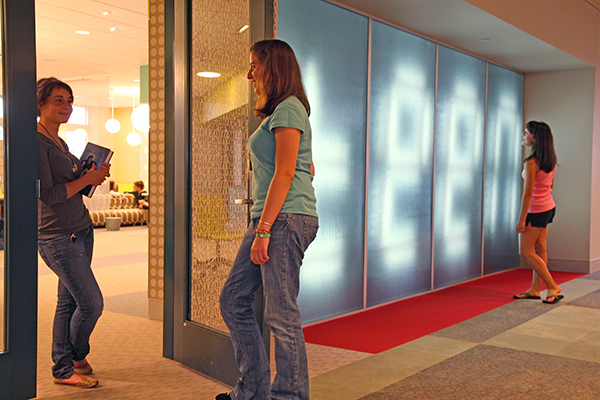 Outstanding Project Award, American Library Association & International Interior Design Association, 2007. Award given for significant achievement for a single space focusing on a specific user group.